Rock Hill, SC Auto Repair & Service – Insurance Company Approved! Croft’s Garage specializes in auto repair, collision repair, and insurance repair. We’re approved by all insurance companies. We’re located in Rock Hill, SC and we also specialize in all types of general auto repairs. Our garage has been in business since 1975, and you can trust that we’ll use our experience to return your car or truck to its original form. We’ll take the time to make sure your car is fixed right the first time. You’ll be back on the road in a vehicle that is safe and performs as it should. We use computerized diagnostics to find out what’s wrong with your car so we can fix it as quickly as possible. 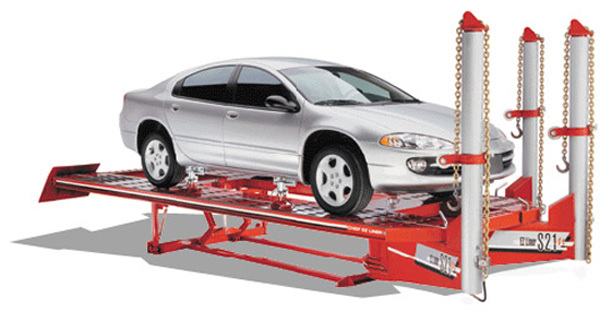 We also use Chief EZ Liner frame equipment for body shop work and collision repairs. Towing and flatbed service are also available. Get in touch with Croft’s Garage to find out how we can get your car or truck repaired–fast! For your convenience, we’re open from 8am – 5pm, Monday through Friday.